If you want your baby to cry less, try a baby carrier. A much-cited study published in the journal Pediatrics found that baby-wearing for three hours a day reduced infant crying significantly — 43 percent overall and 51 percent at night. A more profound reason to wear a baby, though, might be the bond that it promotes between caregiver and child. Babywearing International, a nonprofit group that promotes baby-wearing through more than 80 chapters in the United States, says that baby-wearing makes for healthier premature babies and more-confident parents. 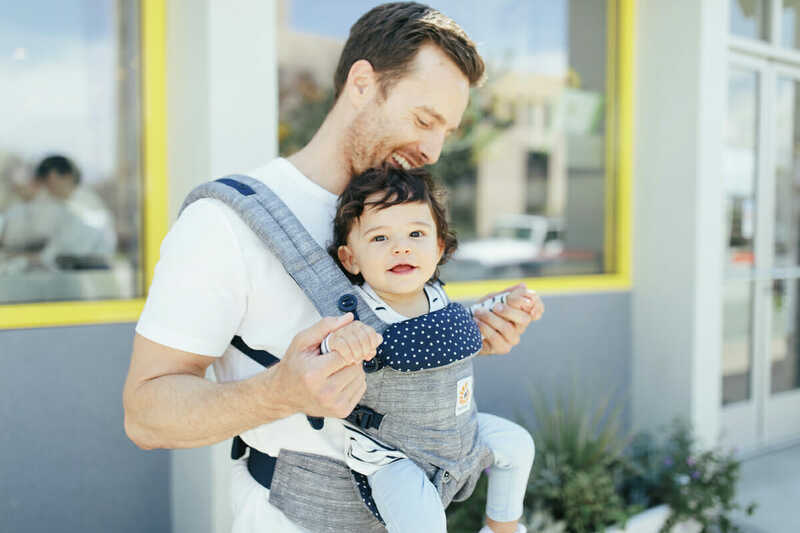 Baby-wearing is beneficial for Dad, as well, adds pediatrician Lisa Lewis, saying it “supports Dad as he develops confidence to care for his new little one.” There are many types to choose from — wraps, slings, mei-tais, soft-structured carriers or frame backpacks — and even variety within the same brand, so go to a store to try one on. Check whether it fits your body type, whether the materials match your climate and whether it’s easy for you to get on. You need to like the carrier you choose or you won’t use it and you’ll miss out on all those snuggles and hands-free benefits. Christina is a mama, wife, conservationist, DIY’er, vintage fanatic, dog lover and the Ergobaby director of community.